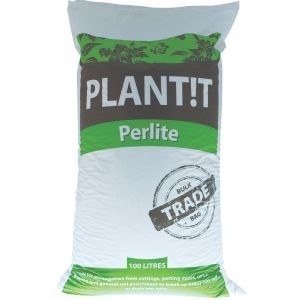 Light weight substrate Horticultural Perlite is a natural, pH neutral, sterile growing medium derived from volcanic rock and used by gardeners the world over. It can be used for propagation and to mix with potting soil, keeping it loose and light, allowing air and water to reach roots aiding nutrient uptake and general plant health and growth. Great in potting mixes for container growing and when used in general soil enrichment, it can break up heavy clay soils or support growing areas of the garden where wet ground is a problem. It should not be used in recirculating hydroponic systems as it can block drippers or pumps.